The spine is a series of vertebrae supporting the body, commonly known as the backbone. It is something Craig Levein values highly when studying the anatomy of his football teams, hence his restructuring work at Hearts. The manager is currently signing key players on long contracts to secure a solid and enduring base for the next few years. John Souttar, Christophe Berra and Michael Smith have already pledged their futures and Levein wants Uche Ikpeazu, Peter Haring, Steven Naismith and Arnaud Djoum to follow suit. He knows the value of a reliable spine in any successful side having previously excelled putting them together. The first incarnation of Levein’s Hearts team reached the UEFA Cup group stages 15 years ago featuring mainstays like Robbie Neilson, Steven Pressley, Andy Webster, Paul Hartley and Mark de Vries. At Dundee United later that decade, Sean Dillon, Jon Daly, Morgaro Gomis, Prince Buaben and Darren Dods became cornerstones of a Levein team which won the Scottish Cup just five months after he left to become Scotland manager. Now 18 months into a stint as manager back at Tynecastle Park, the 54-year-old is again planning for a stable future. As director of football, he watched 16 new players debut for Hearts during season 2016/17 under head coaches Robbie Neilson and Ian Cathro. Another 13 debutants arrived during last season, with a further 14 new faces entering the first team so far in the current campaign. It simply isn’t the Levein way. He signed a total of 18 players last summer to finally establish a reliable core of his own. 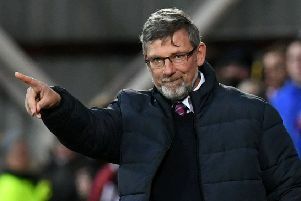 Offering new deals to keep them is trademark Levein. “Craig has had to rebuild, said Peter Houston, the Morton coach who was Levein’s assistant first time at Hearts and at United. “I felt for a spell around 18 months ago that there were too many players coming and going at Hearts. I think there were too many coming in who weren’t guaranteed certainties to be Craig’s style. He wants to get back to the way he likes to do things and he’s doing it by looking forward rather than take chances on people. “When you have to change so many players every season, I don’t think Craig is particularly comfortable with that. He prefers to know what’s going to be happening over the next 18 months or so. He likes to know who might be going out and have replacements lined up so it’s not a last-minute thing or a guessing game. “Hearts have a good side now. They are going well. Peter Haring has been a very good acquisition. Souttar is going to be there unless somebody comes in and spends big money on him. Add Berra to that and you have a nucleus, a backbone right through the middle of the team. Indeed, Levein pays close attention to youth development to ensure he knows the players coming through and the rates at which they are progressing. Hearts are now reaping the rewards of their manager’s groundwork years ago on Tayside. “We used to take training sessions at Tannadice for young 14 and 15-year-old’s occasionally during school holidays,” said Houston. “Boys like Ryan Gauld, John Souttar and Ryan Dow were involved in those. So Craig knew Souttar from back then. “He was very much hands-on with the youth set-up at United and I know for a fact he still does that at Hearts. He goes to under-14, under-15 and under-16 games because he likes to know what’s coming through. Houston was an integral part of United’s rise during the late 2000s alongside Levein. Again, careful planning and scouting helped build a formidable side. Following the manager’s departure for Hampden Park, Houston took charge and guided the club to Scottish Cup success. “Craig signed a number of players at United on pre-contracts to get them in place,” recalled Houston. “Scott Robertson was one, Danny Cadamarteri was another. We then knew what we would be working with in six months’ time when pre-season training started. “Craig pre-contracted Darren Dods from Inverness. Big Dodsy had been doing brilliantly against us and Craig likes centre-backs who can head the ball, kick it and do the basics right. Dodsy is that type of boy. A lot of people weren’t great lovers of Darren Dods but Craig saw something in him that he could build a team around. He became a terrific signing for Dundee United. 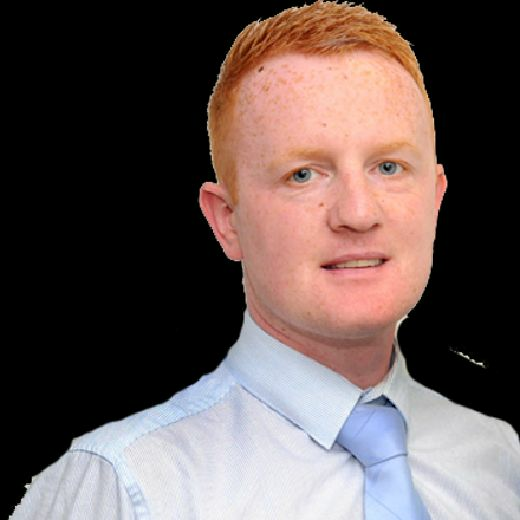 “Sean Dillon was another signing right at the start. I remember Craig going over to watch him and do his homework on him at Shelbourne. We were down watching Jon Daly for a number of months at Hartlepool before we signed him. It’s just about picking the right ones but you need to do your homework. Souttar and Berra at centre-back with Haring anchoring midfield is as secure a base as any in Scottish football. “Haring has been mentioned as one who could be signed up and Christophe wants to finish his career at Hearts, which is great. Souttar has been excellent,” said Houston.